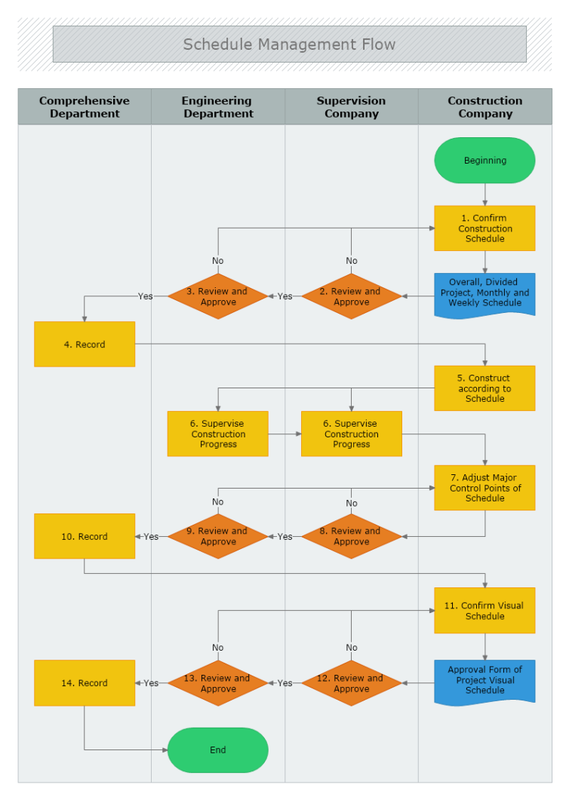 This cross-functional flowchart template describes the steps within the schedule management flow. This particular example contains 14 major tasks along the process that are shared between 4 departments in the organization. To ease the correct following of the process's steps order, each step is marked with a number. Once a tasks has been executed simply follow the arrow showing the next one until all the workflow process requirements are met.